1.3 The Sailing Instructions of each Regatta/series, witch in case of conflict will prevail under all the previous rules. 2.1 Advertising will be restricted to Category A. 2.2 Competitors may be required to display advertising chosen by the event organiser in accordance with WS Advertising Code – Regulation 20.3.1(a). Any required advertising material and instructions for their use, shall be distributed at registration. or fill the online entry form available at the event web site in www.cncascais.com by 31/10/2018. The entry fee for each individual series (1st to 5th) is 200€ and for the XXIV H.M. King Juan Carlos Trophy is 300€. 3.5 The entry fee for the full series includes parking of the dragon from November 1st, 2018 to May 5th, 2019. 5.2 No more than 3 races will be sailed per day. 5.3 On Sundays, no warning signal will be made after 14:00. All Dragons must have a valid Measurement Certificate according to the rules of the International Dragon Association. Copy of this Document should be presented at registration. For the Dragon class, RRS 44.1 is changed so that only one turn, including one tack and one gybe, is required. 11.1 An overall ranking for the full Series will be made with the final result of each series. There will be a 1 Series discard; the races of the last day of Series 6 (H.M.King Juan Carlos Trophy) do not count for ranking classification. All results are referent to the boat. 11.2 The scoring of the overall ranking will be the summ of the overall result of each series, with one series discart. 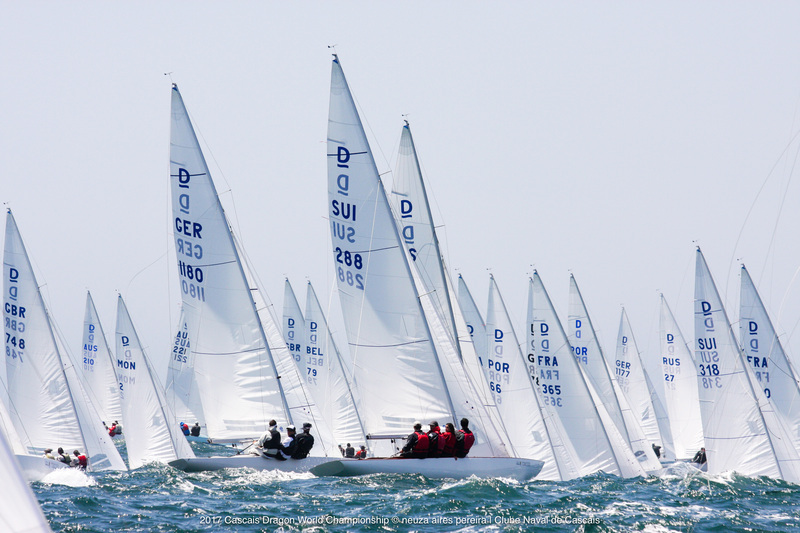 A boat that does not participate in a series will be scored with the total number of boats registered in all series plus one point. 12.1 Support boats shall be registered at the race office during the registration period. They shall display either an identification flag of minimum size 50 cm x 40 cm with their national letters or their national letters in black on a white background on the cover of their outboard engine. 12.2 Parking of support boats will be charged at the club normal rates. 13.1 Boats shall be kept in their assigned places in the harbour. Except otherwise permitted or requested by the OA, all Boats will be moored on buoys in front of the club house. 13.2 The club can also arrange, at competitors costs, a berth at the Marina de Cascais, which must be requested in advanced. 16.1 A boat shall neither make radio transmissions while racing nor receive radio communications not available to all boats. This restriction also applies to mobile telephones. 17.1 Prizes will be given to the top 3 boats of the overall series. Additional prizes may be awarded. 17.2 Prizes will also be awarded to the 1st Corinthian boat. To be eligible to participate in this category, the Yacht must have a crew of amateurs submitting Corinthian Entry Form as well as presenting valid copies of ISAF Competitor Classification 1 Declarations at the registration period. Sailors not having, or having an invalid ISAF Classification, will be scored as Classification 3 and will not be eligible to participate in this trophy. To be eligible to this trophy the boat must have competed in all events with a full Corinthian crew. The Organizing Authorithy stablished an agreemment with the Travel Agency “Em Viagem, to help competitors to find the most suitable and affordable solutions for accommodations and travel issues. Outdoor parking is FREE in the enclosed premises of the Club including craneage for the full period from November 1st 2018 to May 5th 2019 for dragons signed up for the full Series. Dragons signing up for individual Series are entitled to 30 days FREE parking around that Series dates. For other periods parking will be charged at an €8 daily rate. Covered storage for dragon (w/trailer and mast off) with transportation provided by the Club and term car parking are available in the underground parking of the Marina next to the Club.